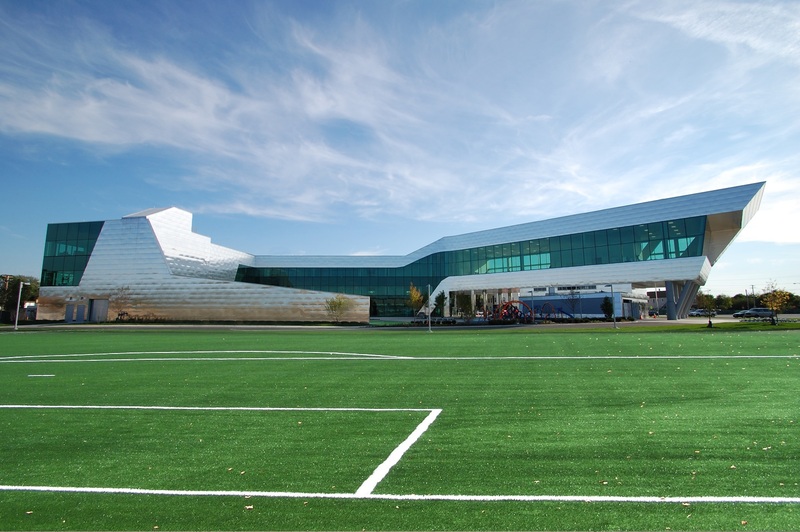 Opened in September 2011, this is the first link of a soccer-focused master plan developed by United Neighborhood Organization (UNO). 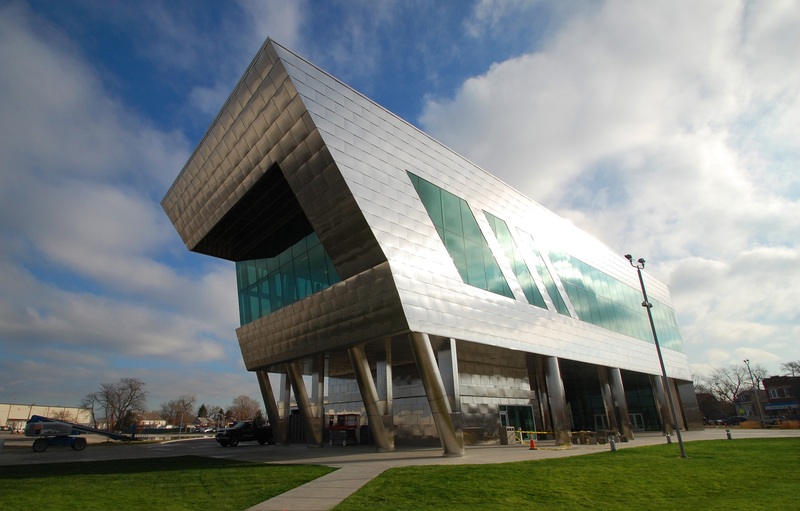 The innovative design and school program take on a new and progressive approach to education. Located on the Southwest side of Chicago in the Gage Park neighborhood, the building stands as a shining beacon for the community. 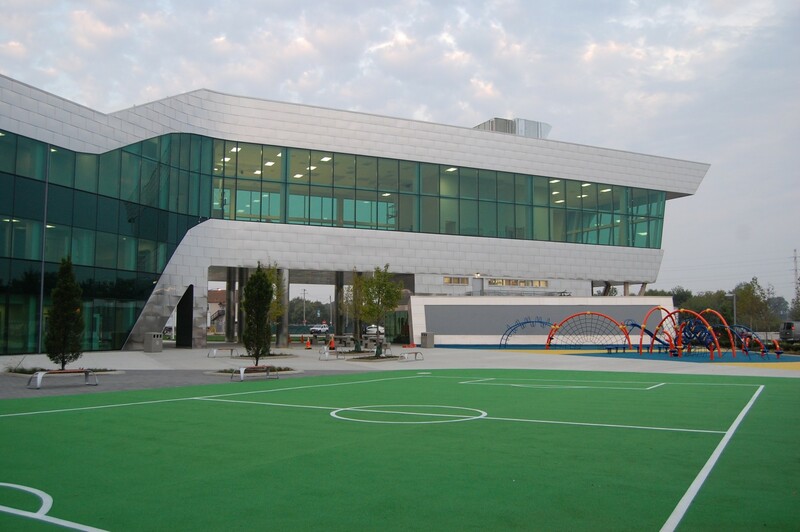 Engaging students as well as residents of the predominantly Hispanic neighborhood to play active roles in their education, through means of a strong curriculum supplemented by the culturally embraced sport of soccer, community outreach programs, and intelligent design. The building itself was inspired in part by the educational development of children. 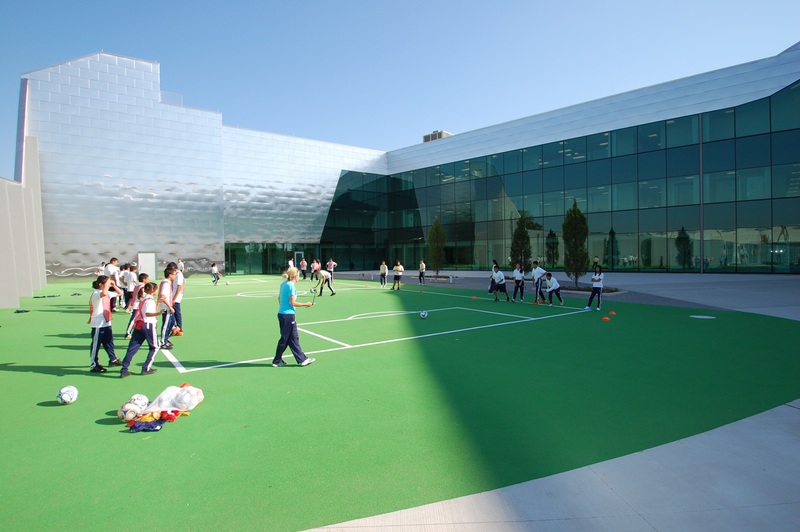 Just as a child grows, the building appears to grow out of the ground, where programs such as learning theaters, administrative components, and classrooms frame a soccer field courtyard. Developmentally essential programs including a fitness center and resource library progress the movement of the building gradually upward. 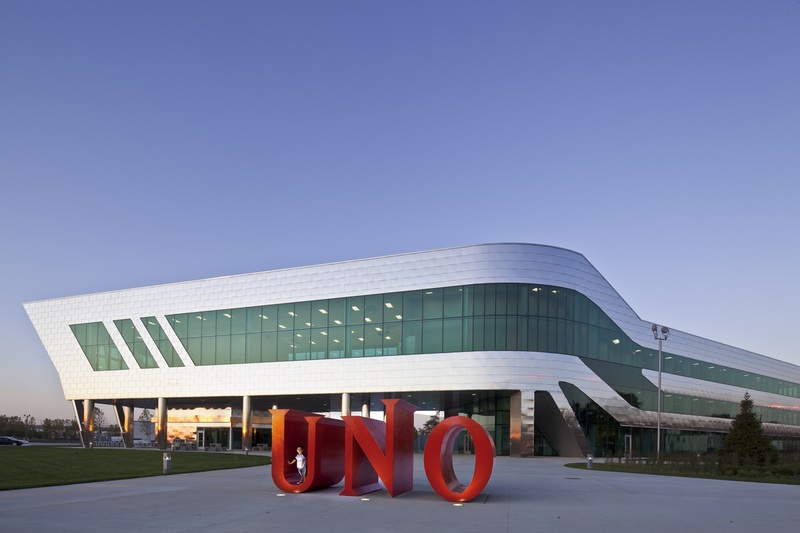 Finally, the building culminates in a community center that frames views of the Chicago skyline, inspiring students and neighboring residents to achieve their potential. This highly innovative design turns a conventional elementary school inside out. 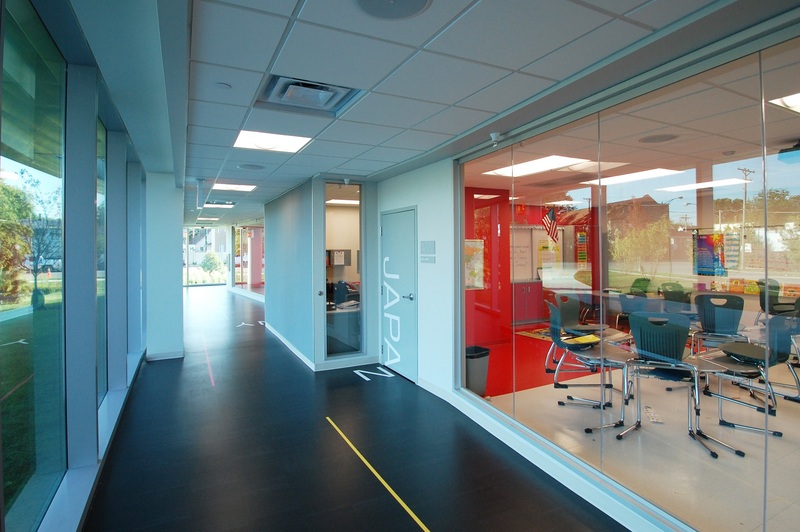 By locating the corridors along the largely glass perimeter of the building while simultaneously locating a full-height glass wall along the interior classrooms, the school is able to dramatically increase daylight and views inside the classrooms. Natural light is therefore allowed to fully penetrate the spaces, creating an effective and efficient teaching and learning environment. This arrangement allows for the additional benefits of increased teaching surfaces in the classrooms, as well as a heightened sense of community connectivity whereby student activity within the corridors is showcased along the building’s exterior. 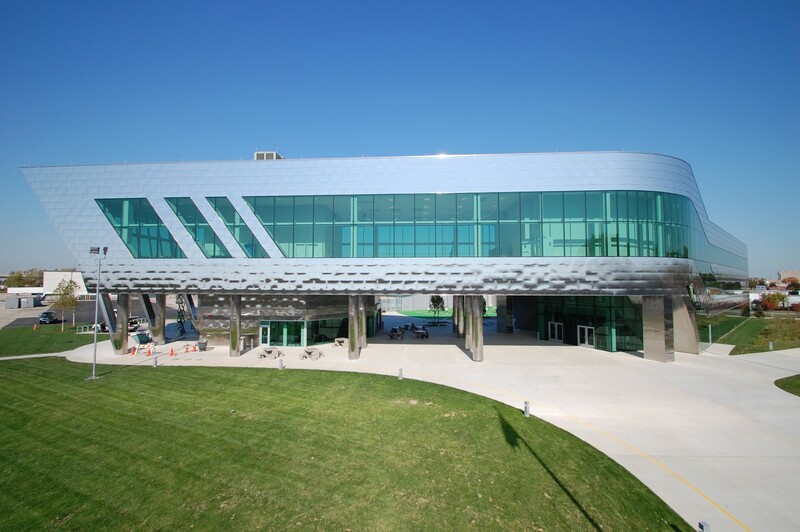 This community connection inside corridors is echoed throughout the exterior where the building form creates various plazas and open spaces to engage the students as well as the community. This engagement aligns directly with one of the main project goals: to create a school as a tool for social change. A goal that initiated with the selection of the site: a residual abandoned industrial site. The project re-envisions this area by providing pedestrian-friendly connections and encouraging diversity in an urban area with a dense population, while taking advantage of existing infrastructure such as public transportation. This school embodies what educational facilities should represent: the hopes and dreams of their local communities; where neighborhood identity is created, parents and community are an integral part of the education, cultural traditions are enriched, and most of all, younger generations gain an understanding that where they come from matters just as much as where they’re going.